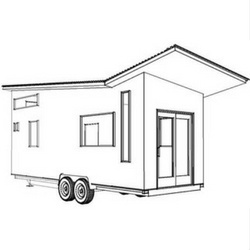 Our own collection of tiny house kit designs with options to configure opening locations, trailer size and structural enhancements. 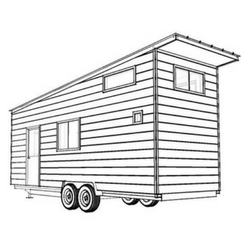 We have designed our own range of tiny home designs, each with a lightweight, precision-engineered steel frame. Pick a design you like, then talk to us about how we can configure the frame to suit your personal layout. The CASULA is our latest addition, a pleasing balance of form and function with plenty of pre-engineering and options. 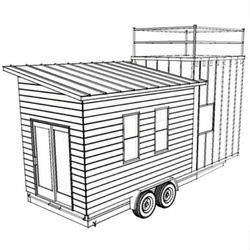 The CHANTEY is our version of what most imagine when thinking of a tiny home. A simple gable design with dormers over the sleeping loft. 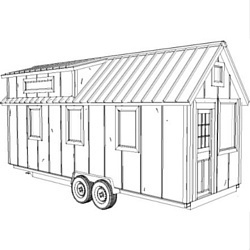 The JIMMY is a go-to tiny house look that maximizes interior head room with the shed roof. Design simplicity makes it a favorite for DIY'ers. 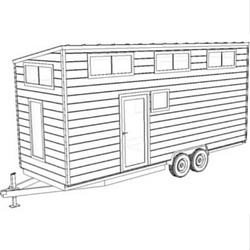 The SPRINGS is spacious and functional offering 200 sq ft on the main level, a 65 sq ft loft plus a 100 sq ft roof top deck to take in the views. 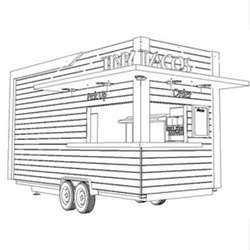 The FOODIE gives caterers a blank canvas to optimize kitchen configuration and sigange, without the hassle of being a truck mechanic. 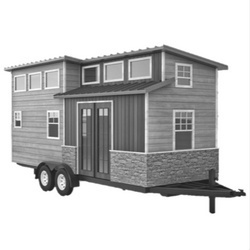 The TRAILBLAZER is becoming a classic tiny home design, with plenty of space and natural light to create your right-sized space with style. NEW! 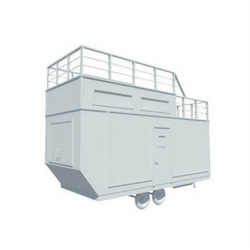 The HUKA is for outdoor enthusiasts and hunting parties who need a functional and comfortable base camp you can tow to this, then next season's best location. 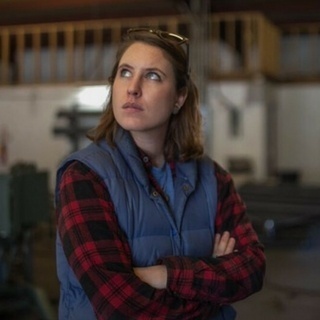 Whether you are building for yourself, or building for others, and you want to get started with a lightweight steel frame sooner rather than later, let's talk. 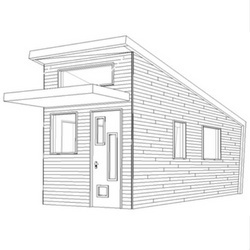 Our range of configurable tiny houses is growing, and with each we have engineered combinations of alternate door & window openings. Get in touch to see which frames we, or our partners have in stock, and download the brocuhure for more detail.